When we bought the house last year, I put all my energy and focus into tackling every project all at once. I made obsessive lists and dove in, taking all of my displeasure at work out on the wood work and the walls and the floors, frantically cleaning and painting and sanding. And of course, along with that, I began saving money frantically. We had a lot of purchases to make – fixtures, linens, paint, nails, spackle, tape – and it adds up quickly. All our spare change was squirreled away into our piggy banks, and coupons became my best friend. Somewhere along the way, though, I stopped spending money on myself too. Owning a home is choices, and some of them are humbling (ie. we may want a gorgeous arts and crafts style kitchen but I don’t know how to build cabinets from scratch) and some of them are eye opening. I realized that if I wanted to stop spending as much money I needed to modify my lifestyle. I wouldn’t say that I’m extravagant when it comes to the money I spend on my personal maintenance, but just like the nick-knacks that come with home repair, self maintenance adds up quickly. I had to make a choice and change: did I want the latest greatest shampoo every month, a closet over flowing, and bi-weekly manicures, or did I want to put everything we had into our house? I chose the house. So what next? I gave up getting my nails done. I spent anywhere from $20-50 every two weeks to keep up my gel manicure. My one real vanity is my hands, which I talked about in another post, but I decided that I could do without. 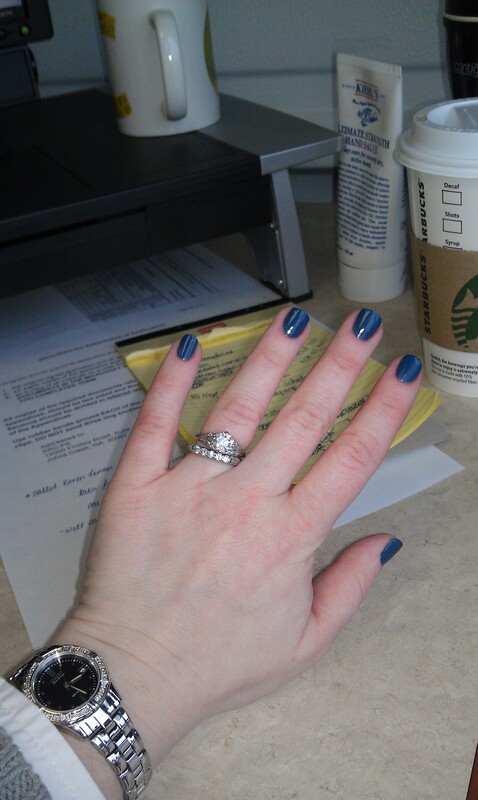 Now, almost a year after quitting my manicure habit, my nails are my own and I’ve learned to embrace them. (And my mom spoiled me and bought me about 6 bottles of fabulous colors that I now do myself and I will admit sometimes I change my polish color twice a week!). Not a bad manicure if I do say so! The next thing I did was purge my closet. I have gone up and down in sizes quite a few times in the past 5 years, so I took everything that I didn’t wear on a regular basis, knew I wouldn’t wear again, or didn’t fit, and took it to Greene Street Consignment. They may be picky – they tend to only take higher quality brands – but you get paid decent money when your items sell. And of course, when I went to pick up my discarded items, I treated myself to a pair of shoes that I had always wanted but could never afford to buy new. 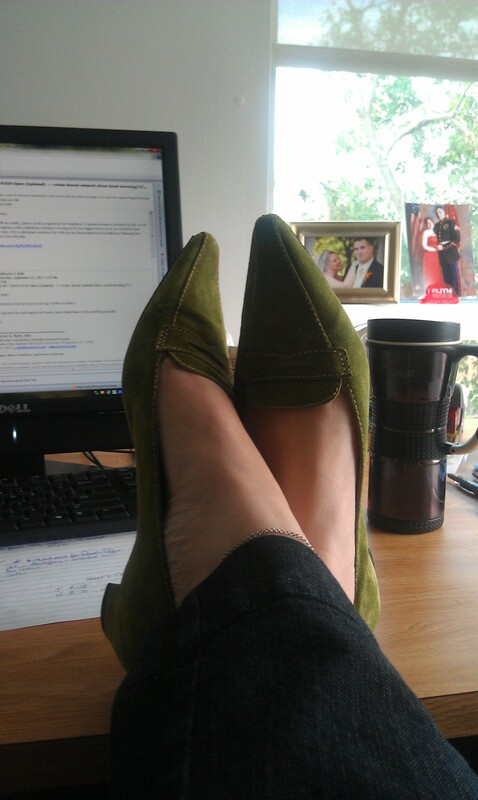 These J.Crew Italian leather and suede flats go for over $100 new, but I scored them for $15. And I have learned to constantly reevaluate my closet and my needs. Now I spend money on basics, not trends or items that I can’t wear to work AND to hang out. The biggest saver may be my determination to not buy new hair/face/body/cleaning products until I used everything we owned already. If your linen closet is anything like mine, you probably have multiple bottles of shampoo, conditioners, lotions and potions that you used for a few months and then found something EVEN BETTER. I’ve played that game for years as I tried to find something that made my hair look better, my face brighter, my skin more moisturized. The addiction to new product comes from multiple sources, but the biggest is my obsession desire to use as many all natural/organic products as I can. But the reality is that I hate throwing unused product out. So now when a shampoo bottle in the shower is empty, I just go to the next half-used product that has been sitting unused. So far I’ve gone through – no joke – 12 bottles of various products. I definitely have my favorites but now I use them every other day in between the left overs. My hair hasn’t fallen out and my skin hasn’t melted off, so I’ll keep continuing until my linen closet no longer has orphan products. The other major change was quitting hair color. I’m a natural red head, but my porous hair is sensitive to chlorine that is in water, so it lightens up very quickly. 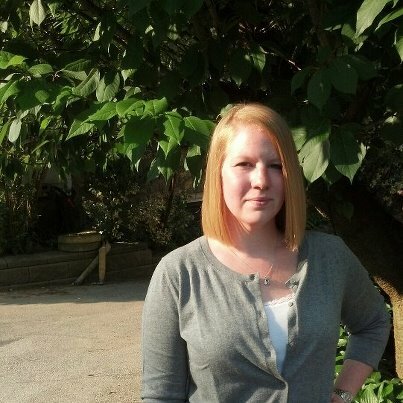 I’ve never fancied being blonde, so for the past 12 years – the amount of time I have lived in PA – I have dyed my hair. I never had the problem in NY, where I grew up. Soon after moving to PA for college, though, my hair started bleaching out. I haven’t died my hair since November 2011. And I now I just laugh about my color. I can deal. I had my hair cut a few days ago – something else that I rarely do these days – and I can honestly say I’m happy with my decision to go natural. I don’t have a lot of highlights, and my color isn’t as fiery as I usually like, but I’ll take it. 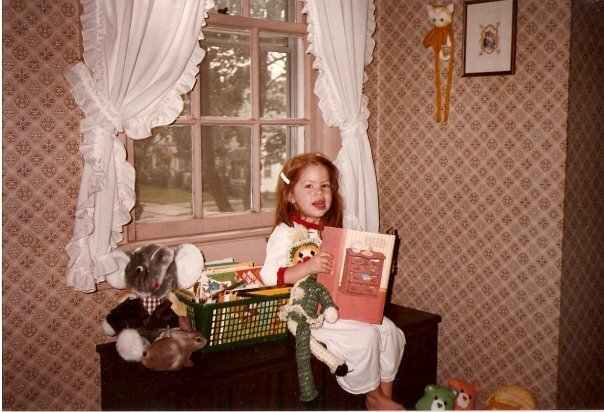 So many things have changed since we moved in the house – different worries, different stress, and new outlooks. But one thing hasn’t – me. I’m happier by far, and I’ve “given up” a lot. But I’m okay with that. I’m 20 pounds lighter than when we got married and when we moved in, I’ve simplified my life, and I’ve learned to be happy with what we have. Have you given things up without sacrificing you?